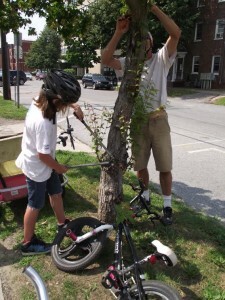 Burlington Tree Keeper Program - Branch Out Burlington! Be Part of the Green Action! Is there space for a tree in the greenbelt in front of your house or business in Burlington? Would you like a tree from Branch out Burlington’s Community Tree Nursery? 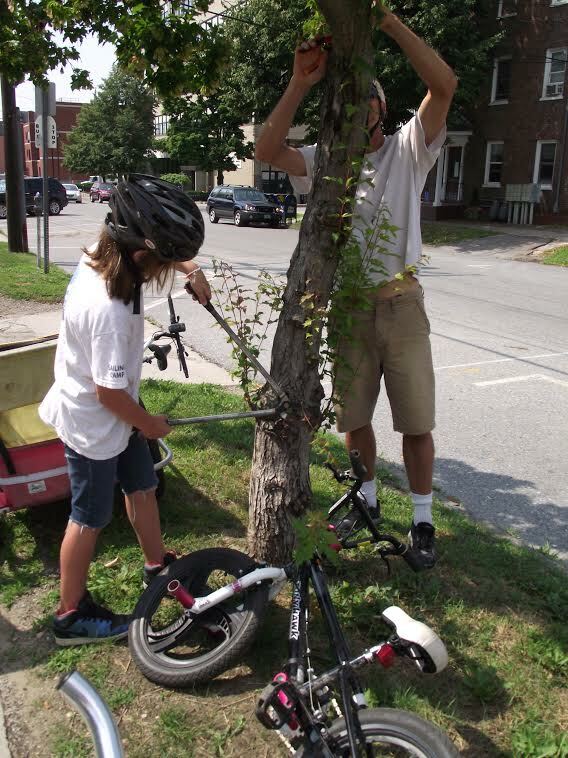 The Tree Keeper Program brings trees to people in Burlington who are able to provide the tree simple care. What is the Tree Keeper Program? 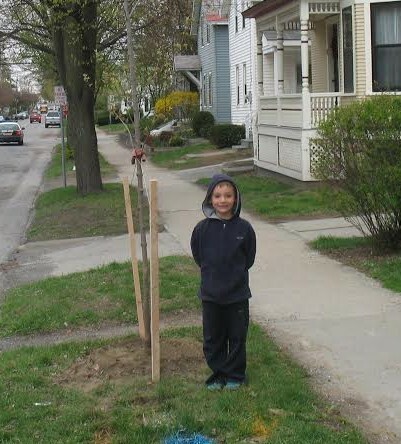 Every year, trees from the Branch Out Burlington!’s Community Tree Nursery are planted along Burlington’s streets. The trees need tender loving care to become established in their new locations. The first year is especially critical. Through the Tree Keeper Program, we match trees with residents who agree to provide them with a bit of care. In addition to getting a tree, Tree Keepers receive free tree care training from local experts. With help from Tree Keepers, our Community Nursery trees will thrive and provide years of neighborhood beauty. Who Can Be a Tree Keeper? People of all ages can be Tree Keepers. No experience or tools are needed, just an interest in trees and a desire to help care for the tree. When you apply to be a Tree Keeper, the city arborist will inspect your site and decide if a tree can go there and which type of tree is best for the spot. If the greenbelt is too narrow, it may be possible to plant it on your front lawn through an easement agreement with the city. In the spring, before the trees are planted, an educational seminar is held to teach Tree Keepers how to care for the tree. What Does a Tree Keeper Do? Plant: Tree Keepers help plant trees along their street on the Annual Community Tree Planting Day. Mulch: Weeds steal precious moisture at the tree root zone. The city spreads wood chips around the base of each newly planted tree. Tree Keepers make sure the mulch stays weed-free, and replaces the mulch in future years if possible. Watch: Tree Keepers look out for the health of trees. Early detection of injury by animals or people is critical to minimize damage. They check the crown of the tree for discolored foliage or dead branches, and look for wounds caused by lawnmowers or weed whackers. They contact the city arborist to share concerns. We hope Tree Keepers will keep their eye on other city trees growing in their neighborhoods, and contact the city arborist when they notice a problem. Why Become a Tree Keeper? Trees release oxygen and absorb carbon dioxide to freshen the air. Trees trap dust and dirt, and remove pollution particles from the air. Trees provide shade in the summer, protection from wind in the winter. Trees give us leaves to make the best compost. Trees provide habitat for birds. Trees make your neighborhood a more beautiful place. Tree Keepers are kept up-to-date with planting techniques and proper tree care. 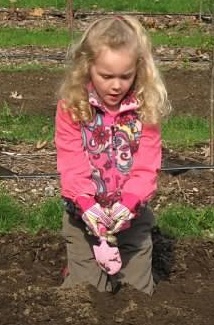 This training can be applied to other gardening projects. Our youngest Tree Keeper was Jensen Daly. In 2008 he decided that what he wanted for his birthday was a tree planted in front of his house to care for. He asked all of his guests at the birthday party to give him money to contribute to Branch Out Burlington! for the tree. All summer he watered the tree and today it is a tall and healthy tree, and he is a mature teenager. How Can You Become a Tree Keeper? Call the Burlington City Aborist at 802 862 8245. Please Burlington, Vermont residents only.